The moment you step through the front door of your studio, one, two, or three bedroom apartment at Parkview at Collingswood Apartment Homes, you’ll be able to feel what sets our community apart from the rest. Whip up a delicious dinner in your fully equipped kitchen, then enjoy it alfresco on available large balconies. Hollywood-style lighting adds a glamorous touch to your bathroom, as does the brushed-nickel hardware. Best of all, Parkview at Collingswood Apartment Homes pays for electricity, so that’s one less bill you have to worry about. 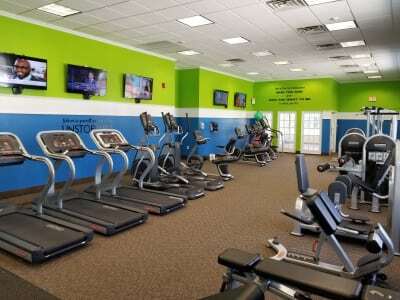 When you’re not relaxing at home, take advantage of all the community amenities we offer. Take a dip in the sparkling swimming pool, or work up a sweat at the onsite fitness center. Laundry facilities in each building make for quick work on laundry day, and we even offer a free resident shuttle bus to take you to local conveniences and the Patco speedline. Everything about Parkview at Collingswood is designed to offer better, more convenient living. Discover everything Parkview at Collingswood Apartment Homes has to offer. Schedule a personalized tour of our studio, one, two, and three bedroom apartments for rent in Collingswood, New Jersey.